Senior living organizations are about to experience the challenge of marketing and selling to a new demographic — the Baby Boomer. In preparation for future sales and marketing efforts, senior living organizations need to be planning for how to connect with Boomers, who have different attitudes toward aging and senior living than the generation before. On this episode of the Senior Care Growth Show, Ryan Knisely, Corporate Sales Director at Presbyterian Senior Living, talks to us about how senior living organizations can attract and sell to more baby boomers. Concerned about if your current marketing and sales efforts will be effective with Baby Boomers? You’re not going to want to miss this episode. Winston: Welcome to this episode of the Senior Care Growth Show. My name is Winston. I’m super excited today to be joined by Ryan Knisely. Ryan is the Corporate Sales Director at Presbyterian Senior Living and he’s going to talk to us today about how senior care organizations can attract and close more baby boomers. Super hot topic — something that I know is on the minds of a lot of our listeners. Ryan, welcome to the Senior Care Growth Show. Ryan: Thank you so very much and it’s great being back. Thanks for having me. Winston: Yeah, of course. You just mentioned you’ve been on the podcast before and I thought the conversation was just excellent. I’m super excited to have you back. Maybe for folks who haven’t heard that episode, you could tell folks a little bit about who you are and what it is that you do at Presbyterian Senior Living. Ryan: Absolutely. Winston. As you already mentioned, my name is Ryan Knisely and I’m the Corporate Director of Sales for Presbyterian Senior Living, which is a multisite — actually, we have 30, soon to be 33 locations across four states, mostly in the state of Pennsylvania, but we’re a not for profit provider of senior care, and we have the full gamut of senior living options. We have 12 CCRCs, or continuing care retirement communities, which is primarily where I work and then we have an array of 55-plus market rate rentals and a whole slew of what they would call a tax credit or affordable housing for seniors. So we feel part of our vision is to take care of all seniors regardless of income. So very proud to work for this organization. I’ve been here, it’ll be six years on October the eighth. So we’re getting very close to my six year mark and couldn’t be happier with what I do and just love it. I’m honored to serve seniors every day. Winston: Yeah, that’s awesome. Part of that audience that you serve more and more frequently seems like baby boomers and that’s what we’re gonna talk about today. And just so that we level set and we’re on the same page, maybe you could tell us a little bit about who these folks are. How do they view senior living? Where are they in this decision making process of senior living options? Ryan: Absolutely. I love talking about baby boomers because when I stop to think about it, I’m 39 years old. These are my parents and my parents’ friends and uncles and aunts, and it’s the future, not only of our industry, but when you look at everything going on in our country today, there was actually a statistic from 2012 from the US Bureau of Labor and Statistics that said that still today, 40 percent of the American workforce is represented by the baby boom generation. And they would be, all of them, would be retiring over the next 10 to 15 years. There was another statistic that they wrote that between the years 2010 and 2040, the percentage of Americans that are age 65 and older is actually going to increase by 90 percent to where we are today. Stop and think about that — 90 percent by the year 2040. So when I say it’s going to affect senior living, it’s going to affect everything. I mean, how many times do you hear the jokes about where social security money will be for our generation? Well, it’ll probably be nonexistent because there’s going to be quite the strain on it over the next 20 to 30 years. Plus I like to think that, as they say, my mother didn’t raise a fool, and I am looking to be in a field that is quite vibrant and when there’s going to be 90 percent increase in the field that I work in. I definitely think there’ll be demands. But as we go along and talk here, Winston, I we can’t keep doing the same old thing. What are they saying with anything in life? “If you keep doing the same thing and expect different results, that’s the definition of insanity.” And as an industry we’re already needing to adjust, but we’re certainly going to have to need to make changes — some drastic changes — over the next, you know, 10, 15, 20 plus years to make sure that we have what the baby boomers want. And as a last reminder, the boomers are those that were born between the years 1946 and 1964. And you ask kind of where we’re seeing it now versus the future? I like to use the example a dam. Picture the Hoover Dam in Las Vegas. I’ve got to think of the biggest thing I can think of because right now there are leaks in the dam, meaning there are some boomers that not only retired, but there are a boomers that have already moved into a community such as ours. I’ll say this is the quiet before the storm. We can use bubble gum to patch the holes in the dam, but we’re only 5-10 years from where the gum’s not going to work anymore. The flood’s going to start and we as an organization — as senior living providers I should say — are going to need to be prepared for that and how to address it. Winston: Yeah. So how do you prepare for that large influx of potential new customers and what are some of the things that marketing and sales folks can start doing today to better market to or sell to these baby boomers? Ryan: That is a good question. And I would say we all just have to take a deep breath, take a step back first and instead of trying to eat the whole elephant, you have to take some time. Every generation has a little bit of difference. There are a lot of good articles, a lot of books out there written on the differences in the generations. And you know, you hate to ever blanket statement any generation because we’re all individuals, we’re all human beings with our own minds and own traits. But there is some very well studied, well thought out research done on the generations. And I guess the point is that the generation that is mostly what we’re working with, which are the boomers’ parents over the last 10 to 15 years come from a very different background mindset than the boomers. The biggest thing to point out is the boomers are going to question everything. If I could give a plug, I was just at a wonderful conference in Chicago called the SMASH Conference that’s been in existence now for 5 years. And it brings together leaders across the United States in senior sales and senior marketing. One of the speakers said, “I’m a boomer. We need to change because I’m going to tell you the boomers are going to be a royal pain in the, you know what, because they’re not just accepting of the norm.” The boomers want more and they’re always going to ask why. They’re going to question a lot. If you think about even just the way companies have been restructured over the years, most industries no longer work in this top down management where manager says you do and you just do it because, well, the boss said, do it. The boomers and the generations to follow are very much about linear or a horizontal [management] where the CEO is no more important than the cleaning crew. It takes a village. And for what we do, it’s just gonna challenge us. As an organization, we need to welcome that change and welcome that challenge. Because if you don’t welcome that change, that challenge, you’re going to become obsolete. Again, the boomer pie is quite large, but if you want even a morsel of that pie, you’re going to have to adapt. Yeah, for sure. I think you hit on a bunch of good points there, but the fact that boomers question everything and their mindset is a little bit different, what do they expect from the senior living communities? When they’re going into this decision, what are the things that are different about their expectations versus maybe that older generation? It’s a great question. Winston. Another quote I actually heard at the same conference was a market leader that said, “if you’re looking at your community today and you want to prepare for the baby boom generation of tomorrow, don’t study your community. Don’t study your competition’s communities.” Actually think of your favorite resort. Think if it’s a Wyndham or a Marriott, the five star Westin. Look at that and look at the amenities there and that that is what you want to gauge for those people that are looking 5, 10 years down the road. Those are the types of things [they look at]. It’s not the only thing, but what it comes down to is boomers don’t want anything that is going to be viewed as “old.” Boomers, like many of our current residents, liked the idea of the care being available, but at the same time they want to be intergenerationally mixed. No offense because I think it’s wonderful we as an industry we do this, but they want to go beyond what many people see where they bring in the local elementary school kids to talk to the World War II vet or talk to the Korean War vet, which is all wonderful and great for PR. But that too is perceived as, “oh well, wonderful. Picture of the elementary kids talking to grandma.” But that’s still “old.” They want every day to be able to live amongst multiple generations. When you think about it right now for the first time in the history of the United States, we actually have five generations in the workforce together. Think about that, too. Five generations with different mindsets all in the American workforce together. It’s not going to be very easy for the boomers to just willingly step away from that, even if they’re with people they view as their peers. So how do we interact that? How do we give them that lifestyle? How do we give them a lifestyle that isn’t all golf courses and shuffleboards and even swimming pools? I mean, you hear about the amenities, and I mentioned the amenities with the resort example, but the human desire to feel needed and wanted is going to be more than ever before. You know, many boomers are still gonna want to try to work or try to have some type of contribution to society while there. So when you look at your communities, you’re going to want to have residents that are getting out and volunteering. Many of them might still be working as an adjunct professor or a teacher somewhere or doing some type of business consulting on the side, and they just live in this community because they needed that maintenance free lifestyle. They like the idea of maybe some of the group activities, but they still want to be very highly involved in those communities where they came from. So if it makes sense, they want a community of people like themselves, but they’re not gonna wanna lose where they came from. Winston: Yeah, I think that’s a really good point and good perspective because I think if a lot of marketers keep going down the same road that they are currently on, the messaging is going to be off. If you’re talking about the things that these folks want, that’s obviously going to have an impact in the marketing and the sales messaging that the communities put forth. So how do you think marketers and salespeople specifically should do things differently to speak to this new audience and their specific wants and needs? You know, it’s not just Bingo and shuffleboard and “here’s your apple sauce.” For people that take the time to go and these communities, they’ll see that. But the problem is, one of the toughest parts of our job today — and it I don’t only get tougher — is still that ageist perception that these are places you go to when you need care, when you’re not quite as healthy as you currently are and you know it, it’s still that perception. And going back to that conversation that was happening with him, the one gentleman looked at us after we basically said what I just said and he said, “You know what? How has that perception changed in the general public over the last 10 to 15 years?” And we all sat there and said, you know what? It really hasn’t. But then let’s look at the opposite. What if you woke up today and didn’t have a job to go to? And regardless of the financial, take the financial [aspects] out of it. Just the meaning, the difference that you make in your day to day and how you help people and you’re serving people. I think we really need to look at that in one of a number of things. Number one, that brings people together and whether you’re a boomer or a millennial or a Gen X and Gen Y, the Greatest Generation, whatever generation you’re a part of, the key to all of this is instead of the boomers wanting somebody to work for them, they’re going to want to work with them. I’m not saying that every boomer’s going to still want to push mow their lawn and that’s why they probably looked at our community. So don’t hear me wrong when I say that. They want to know that what they’re doing is making a difference in the community. If a boomer says, “hey, I want to work on this or I want to work on that,” we encourage it. We already have a trickle of that in many of our communities and I’m sure many of the people listening to this have that as well where we can’t just say, “okay, we listen to you at the resident council meeting, but at the end of the day we’re going to make our decision.” There still needs to be some of that obviously for corporate decorum. Boomers are too smart. They’re going to read through that. I would actually advise any community that has boomers on their board, try to keep them on the board when they move in. They just are so excited to move in to our skilled nursing center. And of course everybody laughs and says no. I never get a single hand raised. But yet that’s the way many organizations are still selling their service. Think logically, why? Why do we still sell our services with almost like a 30 year ago mindset when again, boomers, if we keep going, we keep going down that path? Boomers are going to delay and delay and delay and delay. As opposed to if you can actually make our campuses into almost like a college type campus — learning and development. Why can’t you teach an old dog new tricks? Why can’t you come here and learn things and still be actively involved instead of just falling to the wayside. That’s really what it comes through with the Baby Boomers. I think it’s a big answer to a big question because it’s not a simple fix and the expectations are different. I think what they are looking for in a senior living community is, like you said, very different than what a lot of the messaging portrays and so to your point, I think that communities need to take a hard look at how they’re promoting their amenities and the lifestyle of what it’s like to live there. Because that’s what I think people are looking for is “what’s this lifestyle going to be like,” not, you know, “will they take care of me” and everything else. That’s certainly important. But like you said, that’s not what’s going to sell people. They want the experience and they want to know that there’s going to be active, still have a purpose, still feel needed and still be able to really live their life and not just kind of settle in and have that be it. Winston: I think that’s a great point and I think that’s something that marketing and sales folks in this industry need to take a hard look in the mirror and make those adjustments or start to think through that. I know I did an exercise looking at probably a hundred different senior living community websites and was reviewing them for myself. And I’ll tell you, the ones that stood out were the ones that were just more relatable from a human perspective. Like what is life going to be like? How can I get involved in things? And really give you a sense of what it’s going to be like to live there versus who has the best skilled nursing care — to your point — because that’s not what’s going to sell somebody and get them excited about moving into a new community. Ryan: And you know, you make a lot of great points, Winston, and I would actually go beyond that. I was thinking do we even use the term “senior living” anymore when the day gets here? I mean that can still be our primary function and we can still have these age restrictive communities. I’m not against that. But let’s face it, many of us say we’re 55 plus. Go to any go to any CCRC in the country and talk to them and ask them what is your average age? The average age of almost any CCRC [resident] is going to be somewhere in the low to mid eighties. If we’re truly going to be a 55 plus community, and if we all had more of a balance of what we advertise ourselves as, we wouldn’t be having this conversation. Imagine if we had an even number of 55 to 60 year olds, 60 to 70 year old, 70 to 80 year olds, 80 to 90 and 90 above, we’d be attracting so many more because you could say, well you want to intergenerational, you have it at our community. We have a community in Philadelphia that I’ve been at a lot recently and when you actually get to know some of these residents, it’s amazing. They make me feel lazy with what they’ve accomplished. You have doctors and attorneys and educators and entrepreneurs and people with just amazing stories. They want to get out more. And many of them are still involved. So don’t let me take anything away from what they’re doing. But again, I’ll go back to my thought, the trickle that we can plug with bubble gum and the floods coming. Let me reverse that and say, as a community, when you come here, these are, who we’re partnered with. This is where our people are going. This is a march they just did in Washington DC. By the way, it was all organized by them. See, that’s the other thing. That’s a control thing. Many people still have the perception that when you move to a community, that community life person’s going to direct everything. One, you’re going to have all these rules. You can’t have your pet and can’t have this, can’t have that, and first you have all these rules and then all they’re going to do is take care of you. And oh, by the way, your whole day is going to be structured and you have no input. It’s totally false in most communities. But guess what, that’s not getting out there — not getting out there the way it should. I like to use the line all the time — truly at most of our communities, the “inmates run the asylum,” right? The residents run the activity, you know? That’s what I mean, the residents come up with the ideas and they’re very proud to say that as they should be. You know, I jokingly say you should have a tee shirt, like you go to the amusement park and it says, “I survived this roller coaster.” These are people that should have the shirt that says, “I survived this many wars.” “I worked 40 years as the head of a law firm in one of the largest cities in America.” I’ve been there, I’ve done that but it. But instead we have people their kids’ age telling them what to do, when to do it, and that’s the perception, but it’s not reality. It’s not. And if it is happening anywhere, you have to change that because again, that is the reality that Boomers are seeing and let’s face it, with technology, we’re going to be fighting “home” more and more than ever. More than ever we can say that at home, you’re isolated and in many times you are, you’re isolated. Your friends pass on, they move away. I love this great line. Dr. Roger Landry who founded Masterpiece Living said that when you’re young, when you’re working, your home is a haven. It’s where you go to get away from the world and de-stress and relaxed with your family and kids. But as you age and the kids go off to college and, God forbid, maybe you lose a spouse, now your home goes from being a haven to a prison and you’re stuck in this house. That’s where our communities come in. Not only what we take care of you, but we can reengage you, and those are all good things. But with the dawn of technology and things that are going on — with the video conference we’re having right now — why couldn’t somebody do this at home with their family and talk to them? Actually I would say, if there was any fear that our industry should have, the number one fear is technology could eventually start to replace what we do. But if used right by communities, [technology] could actually be the game changer that not only helps us survive but helps us thrive. Winston: Yeah, I think so. You mentioned a lot of good points there. I think that technology certainly does play a role, and the main thing that I picked up from your answer there was just the difference in reality versus perception. I think that as marketers in these organizations, there’s a huge opportunity to tell the right story to folks and help portray the reality of the community as somewhere where you can still get involved. You can still do amazing, fun things. And it’s not controlled and it’s a different environment. And that to me I think is the real opportunity in this whole discussion — really bringing the reality of what life can be like there to the forefront and helping people see that. I think that, as we’ve talked about in the past on this podcast, the challenges of increased competition and the need for differentiation, what a great opportunity for us to differentiate the community, but also speak to prospective residents in a way that they want to be spoken to and communicated with. Ryan: Absolutely. My wife actually sent me a Facebook message the other day that I guess she thought related to me because of what I do. They called it the “granny pod,” these little mini portable houses that if you have a nice plot of land, I guess it just plops in on the kids’ back backyard and that’s where mom or your mother in law can live out her days. That’s just an example of “it’s not just senior living that is recognizing this immense growth in senior care,” but the entire nation is recognizing, well where’s the market share? The market share is now transitioning from the workforce to the retirement force. So you know, these granny pods — I don’t know who actually invented them — but the point is that somebody came up with the idea. I’m going to assume it was probably somebody not involved in senior care that thought, “dad’s died, do we have an extra room? Where are we going to put mom?” You hate to say it. But then some people are going to say, “we love mom, but even if we have this space, we don’t really want her in our house with us all the time.” So I don’t have to be a builder. Instead of having to find a place and worry about this, I this plop this pod in the backyard, she can sleep where she wants and we can still see each other and now we can watch her and take care of her. The other issue with that though is that the granny pod only solves one issue. This is where we have such opportunity as senior care operators, is we’re the experts in the field. We’re the ones who live and breathed this. My organization, I’m very proud to say, has been taking care [of seniors] and studying the industry for over 90 years. We’ve been around since 1927 and this isn’t the first time things have changed. Things have obviously changed a lot since we opened up that very first community in 1927 and into where we are today. So let’s take advantage of that knowledge that we have and put it to good use because I guarantee that we’re going to have more people age 65 and older than where we are right now in the next 20 to 30 years. A lot of other industries are going to be thinking about that too. And we just have to make sure that we take that knowledge advantage and that years of experience and put it to good use. Winston: Yeah, for sure. I think you’ve hit on a lot of good thoughts here today, Ryan. There’s just so much opportunity to shift this message into a way that speaks to these baby boomers, but it’s going to take a lot of hard work. I think it’s going to take a real shift in mindset for a lot of communities to realize that the messaging needs to change, the audience is different. If we want to attract that younger audience, a true like 55 and older, it’s a different message and different expectations, but now’s the time to start shifting that message and changing the brand. Otherwise you’re going to be left behind because that’s a huge influx of potential residents that are going to be looking at a lot of different communities. And so this is a good chance to differentiate yourselves. Ryan: Absolutely. And just to wrap up, if I had to hit on key points, it’s how do you differentiate yourself? Because there’s a lot of noise out there and that noise is only going to grow by leaps and bounds when everybody’s trying to appeal to 65 plus. And part of that is totally radically changing what we call ourselves — the terminology. Why can’t we still be these immense providers of senior living and senior care, but drop the senior part? Instead of calling ourselves a facility, we’re a campus. Instead of saying this is a place where you age, it’s a place where you grow. Even if your campus itself is not truly intergenerational as far as the residents, geographically we need to position ourselves in amongst that, which is why you’re going to really see a boom I believe in urban settings, because people want to be to where they can walk to the coffee house. Even with the growth of ride sharing such as Uber and Lyft and things of that nature, a lot of that’s going to be used. At the conference they showed the Tesla example. Tesla’s already testing driverless cars. So think of the things we sell today: where you use our free transportation. They don’t have to. How do you put yourself in those geographic locations? Think about where you enjoy being today and build your community around that. The city, the beaches, the country. The country is still a great place. There’s actually a term being used right now called “halfbacks” and it’s to describe retirees from the Northeast. Phase one retirement sent them the Florida, but they’re coming halfway back, retiring into peaceful mountain towns of the Carolinas and the Virginias. And they like it because the pace of life slows down. The cost of living is considerably less. So don’t discount yourself simply because you’re in a rural area, but you find that niche. You become a community of what people that are still 10 years away from actually making that change — you become that community now. So they say, “wow, this doesn’t even feel like a retirement community.” Because even though it is, we’re not going to call it that. The only thing that makes it a retirement community is because you’re connected to care, but it’s not going to feel like a retirement community. Winston: That’s awesome. I love that idea. That’s great. Well I think you’ve given our listeners a lot to think about Ryan. I think it’s all very sage advice. I think that you’re dead on. The shift in tone and messaging and differentiation needs to happen. So I just encourage folks to start to go through that process within their communities — start to think about how they need to transition their messaging because the wave of baby boomers is fast approaching, if not already here. Thank you Ryan for being on the Senior Care Growth Show. I really appreciate your time today. This has been awesome having you on the show. Ryan: Thanks Winston. Really appreciate it. Winston: Awesome. Thanks so much. 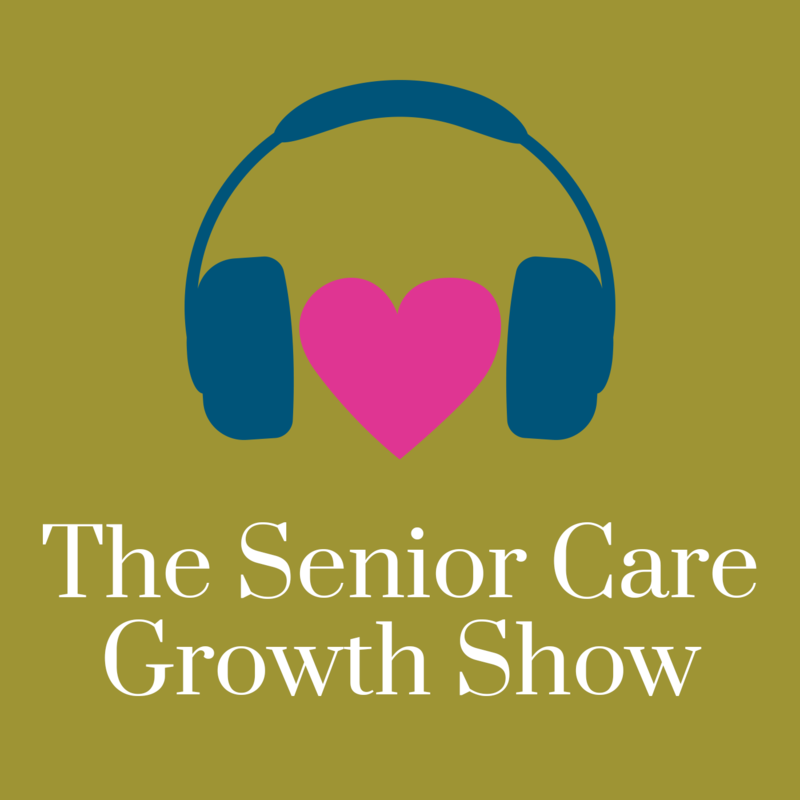 You’ve been listening to the Senior Care Growth Show, where senior care sales and marketing professionals come to grow. My name is Winston. We’ll catch you next time.